You can click on the floor plan above to see the live example. 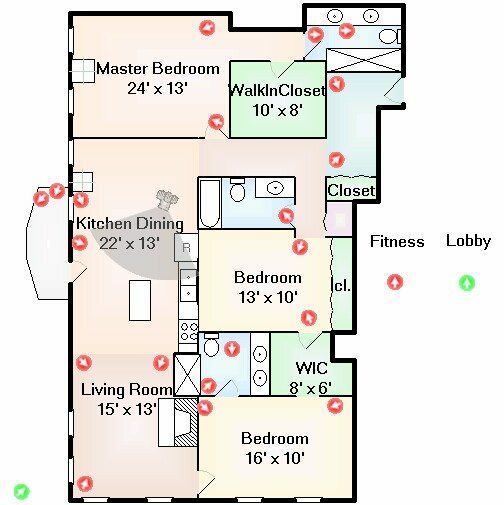 The interactive floor plan allows buyers to really get a feel for how the home is laid out and what it looks like from various angles. The only downside is that some buyers may think they’ve seen it all and try to make a decision based solely upon the online experience. We would recommend that the interactive floor plan be used only to rule out obvious misses. Good point. That’s a really cool feature and I forgot about it. I meant to cover that.